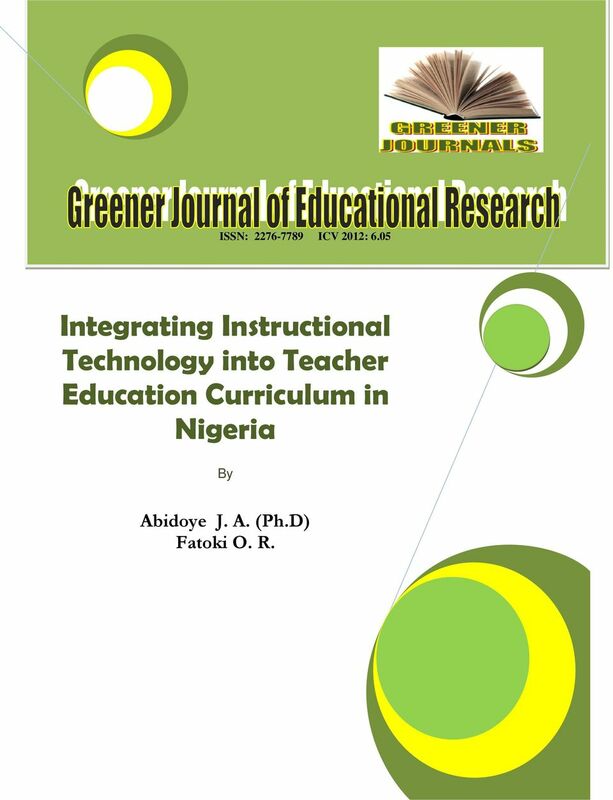 Download "Integrating Instructional Technology into Teacher Education Curriculum in Nigeria"
1 ISSN: ICV 2012: 6.05 Integrating Instructional Technology into Teacher Education Curriculum in Nigeria By Abidoye J. A. 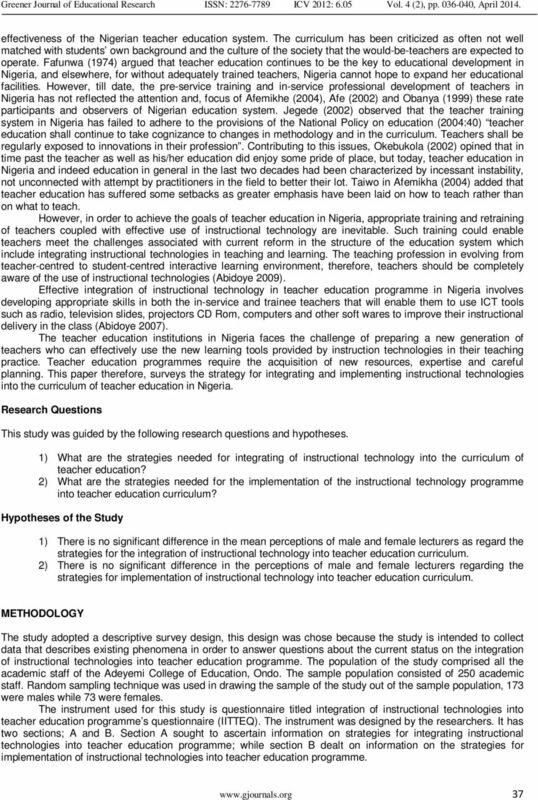 (Ph.D) Fatoki O. R.
Comparing the Roles of School Counselors and School Psychologists: A Study of Preservice Teachers. Randall L. Astramovich and Scott A. 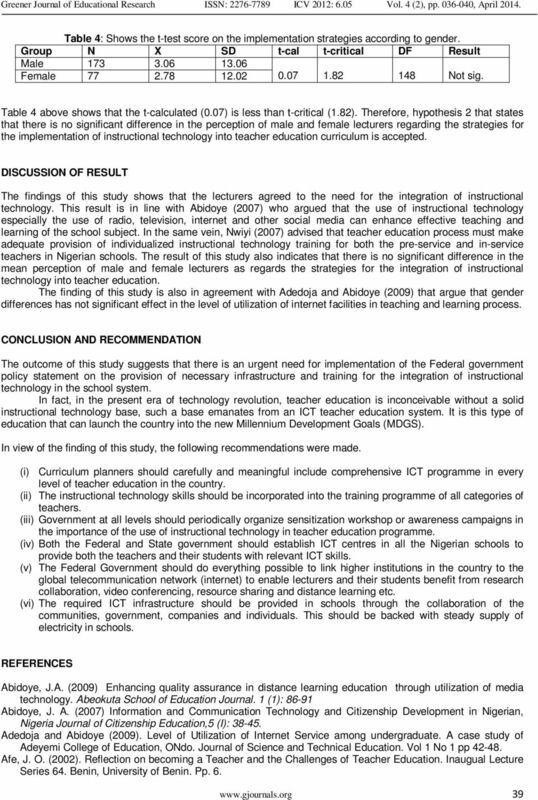 TEACHER TRAINING IMPLICATIONS OF GENDER AND COMPUTER SELF EFFICACY FOR TECHNOLOGY INTEGRATION IN NIGERIAN SCHOOLS.